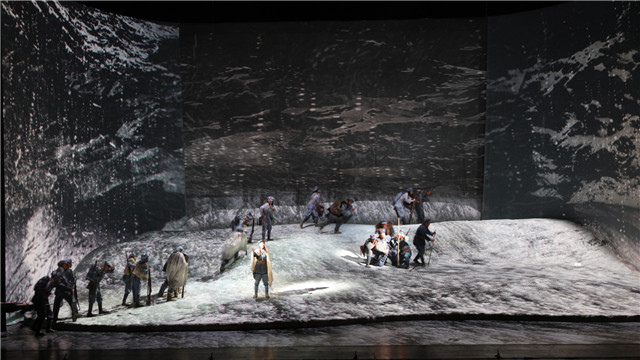 The Long March, which premiered on July 1st, 2016, is an opera commission commissioned by the NCPA in memory of the 80th anniversary of the Chinese Workers’ and Peasants’ Red Army’s victory in the Long March, the 50th opera produced by the NCPA in the last eight years since its opening, and the 11th Chinese opera commission of national classic subject matter after Xishi, The Chinese Orphan, Visitors on the Snow Mountain, and FANG Zhimin. 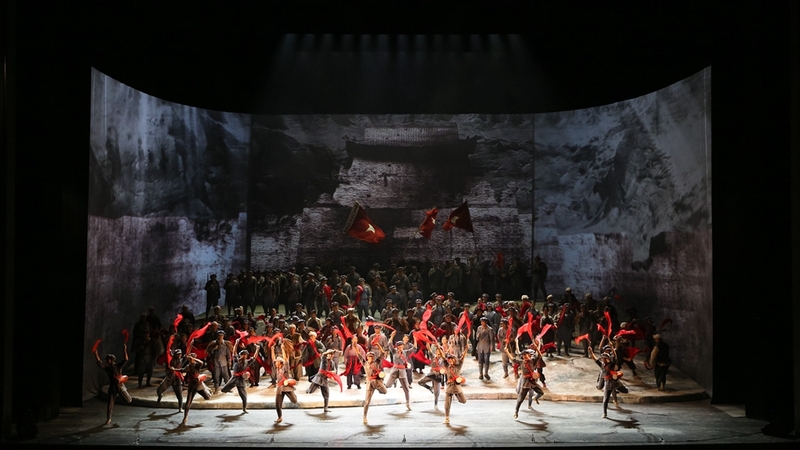 The opera, adapted from the true history of the Chinese Workers’ and Peasants’ Red Army’s Long March, faithfully recreates the hardships that were suffered by the Chinese Workers’ and Peasants’ Red Army on the Long March by realism. The events on important nodes of the Long March are held together based on the perspectives and experiences of common Red Army soldiers and people, evoking the “miserable glory,” eulogizing the Chinese Workers’ and Peasants’ Red Army’s lofty ideals to fight and sacrifice for their faith, in honour of the Long March, a great wonder in human history. 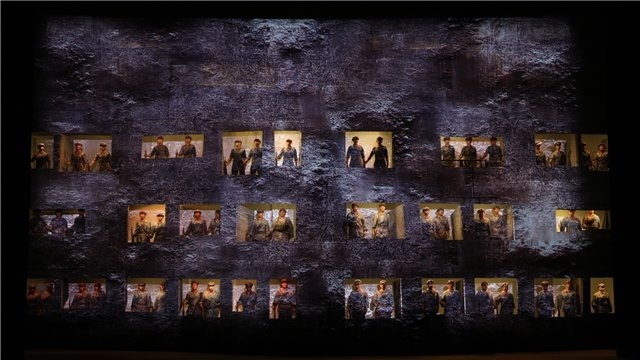 Until now, various Long March-based literary and artistic works have been produced, of which films and TV dramas and stage plays alone are more than one hundred in number. The Red Army’s Long March, which is one of the greatest events of the last century, is a magnificent feat that has changed history. 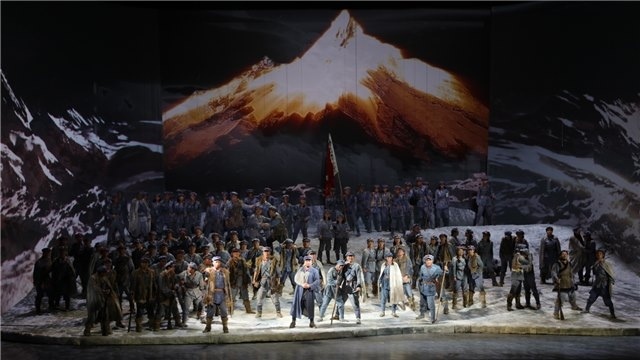 The NCPA opera The Long March is acted out this great event, which influenced the process of Chinese revolution, in the form of an opera. 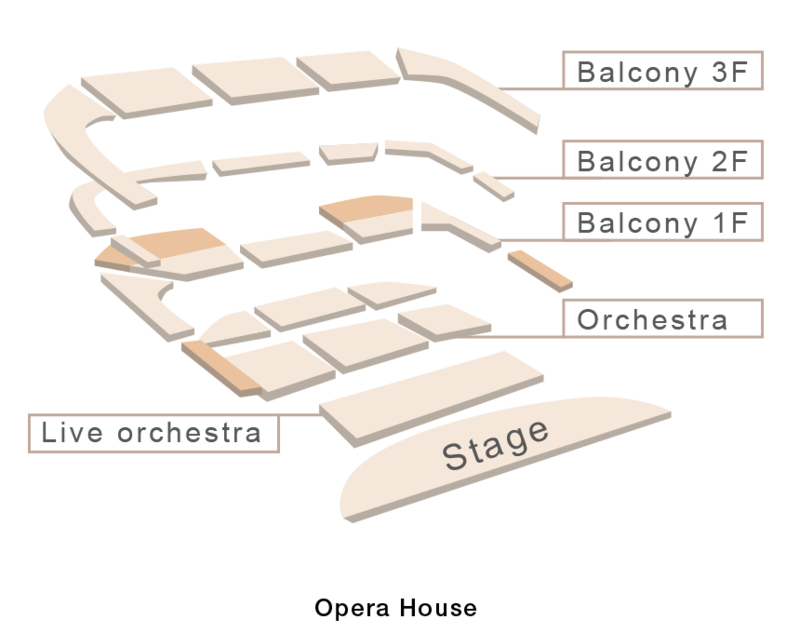 The whole opera has six acts of nine scenes in total, with over 30 dramatic personages and the chorus of hundreds of people. 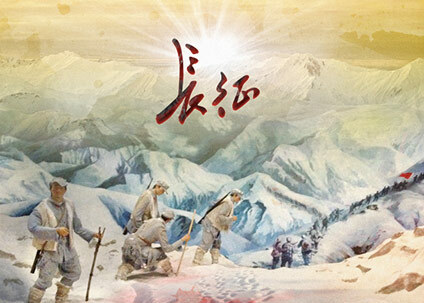 The great history of Long March ensures our today’s peaceful life, and each note of the spirit of the Long March contains the era factor and has the inspiring and shocking spiritual strength. Let’s walk into NCPA and review this period of sufferings and glory through the artistic charm of the opera. After the failure of the 5th counter-campaign against encirclement and suppression in October 1934, the Red Army is about to depart from Ruijin. After receiving the transfer order, Commander ZENG and Commissar PENG from a regiment of the Central Red Army cannot bear to abandon the sick and wounded to the enemy. Doctor HONG, Commissar PENG's wife, also stays to look after them. After the Xiangjiang River Campaign, the Red Army enters Zunyi and gets a chance to consolidate. The Zunyi Meeting Announcement is proclaimed late that night, which marks a historic turning point in the Chinese revolution. Chased by the enemy, the soldiers start a raid of 120 km over the course of an entire day. They seize Luding Bridge marking the successful breakout. Ping Yazi, a young soldier, bravely tastes the wild plants but is poisoned and dies a heroic death. When the Red Army joined forces in Huining, Commissar PENG receives the last letter from Doctor HONG. This letter motivates the soldiers. The opera ends with the chorus Long live the Long March. 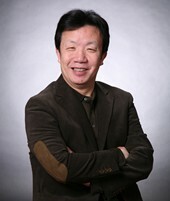 As famous contemporary composer, first-class composer for the General Political Department Song and Dance Ensemble, YIN serves as Vice Chairman of the Chinese Musicians Association, Eighth, Ninth Plenary Member of the China Federation of Literary, member of the PLA Conducting Art Committee, expert enjoying the special allowance of the State Council and the former Director of the General Political Department Song and Dance Ensemble. 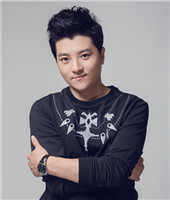 YIN's representative works include songs: Into a New Era, Western Singing, Road to Heaven and Road to Revival with nationwide influence; operas: Daughter of the Party (cooperation with others), ballet music Matsu and The New Fourth Army, The Last Cavalry, Love between the Sea and the Sky, Make a Promise and Village Official PU Faxing, which are widely acclaimed. 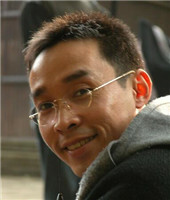 He has won the Best Works Award by the Central Publicity Department, the Wenhua Award by the Ministry of Culture, Literature and Art Award of the People's Liberation Army, Gold Works Medal of the Chinese Music Golden Bell Award, China Golden Record Creation Award and other national and PLA awards for over three hundred times. 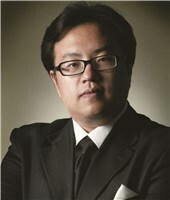 He has served as the music director and artistic director on several important cultural activities around the country. 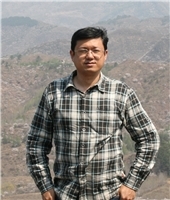 ZOU Jingzhi is a member of Chinese Writers Association and resident writer of Beijing Writers Association. 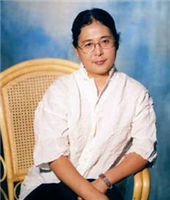 ZOU is also a poet and a playwright, whose poems exerted extensive influence over society in 1980s and who has published over 20 poems, essays and novels, which are translated into several foreign languages. ZOU dabbled in film and TV series creation in 1990s, with influential works covering TV play Kangxi Incognito Travel (IV), The Fragrance of Chinese Scholar Tree Flowers in May, Love in A Fallen City and The Eloquent JI Xiaolan (cooperated with others) and film Riding Alone for Thousands of Miles (directed by ZHANG Yimou), winning many awards. In late 1990s, ZOU Jingzhi started dance play creation, with representative works including opera The Banquet, (Composed by Guo Wenjing, The Banquet has been performed in France, Great Britain, America and Australia, wining rave review), stage play I Love Peach Blossom (Directed By Ren Ming from Beijing People's Art Theater, the play has been staged at drama festivals in Japan and Italy, and performed by many troupes for about 300 times), The Lotus Flower (directed by REN Ming and XU Ang from Beijing People's Art Theater), The Playground (Directed by XU Ang and produced by Dragon & Horse Group), Opera Xi Shi (Produced by the NCPA, composed by LEI Lei and directed by Cao Qijing) and Children's play Hi Cute. As Director of National Theater of China, deputy director of Institute of Film, TV and Theatre in Peking University, artistic director of Hangzhou Culture Radio and TV Group and China's first-level director, TIAN Qinxin enjoys the special allowances of the State Council. In China’s stage play, she has always insisted on the cultural quality and humanistic feelings. The new explorations of Chinese traditional themes and the world’s masterworks and the captures of the sensitive topics in the modern and contemporary age are contained in her works. She combines the contemporary artistic concepts with the oriental aesthetics when presenting the stage and she emphasizes on the performances integrated with physical expressions and poetic language, complex space-time structure and strong visual impact. She has established her own school and they also have aprofound influence on the international theatre field. Before and after World Theater Day on March 27th, 2014, the dramas of Green Snake and Unique Beauty directed and written by her were performed in the U.S. at the same time. Green Snake, jointly commissioned by the 41st Hong Kong Arts Festival and the 15th Shanghai International Arts Festival and jointly produced by National Theatre of China and National Theatre of Scotland, attended World Stage: 2014 International Theatre Festival as the only representative repertoire of China at the invitation of John F. Kennedy Arts Center. Green Snake was one of the most sensational works in the performing market of Greater China Region in 2013, and it was also invited to appear in 2014 Edinburgh Arts Festival and was rated as the first of “mystery plays”. The drama Unique Beauty directed by TIAN Qinxin was on tour in New York, Los Angeles, San Francisco and Houston. She was also invited to rehearse three dramas in South Korea. 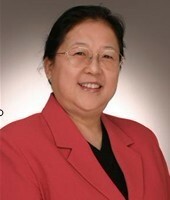 Her representative works include drama, such as The Field of Life and Death, Wild Whirlwind, Chinese Orphan, Red Rose and White Rose, Matters in Ming Dynasty, The Yellow Storm, Green Snake, Beijing Fayuan Temple, Kunqu opera including 1699 · The Peach Blossom Fan, and musical The Song of the Film (2010). She has won plenty of honours and awards. She has won gold award of performance in China Arts Festival, National Stage Art Excellent Project Award, Annual Drama and Annual Best Director Awards of Yi Theatre Awards, Wenhua Award of Ministry of Culture, Director Award, Screenwriting Award, Golden Lion Director Award, Screenwriting Award of CAO Yu Literary Award, Excellent Drama Art Worker of Ministry of Culture at 100 Anniversary of Chinese Drama, Hall of Fame Figure of One-hundred Chinese Drama and so on. The works published include theatre collection The Collected Plays of TIAN Qinxin (Drama) (DVD),as well as books including I Act in Play Because I’m Sad, TIAN Qinxin’s Drama Field, TIAN Qinxin’s Play Scripts and TianQinxin’s Rehearsals – The Yellow Storm. Vice chairman of Chinese Dancers Association, current deputy head of the Central Military Commission Political Work Department Song and Dance Ensemble, Chinese first-class scenarist, YANG Xiaoyang enjoys the special allowances of the State Council. He is the winner of “‘four of a batch’ talents for National Propaganda and Culture system” of the Propaganda Department of the Central Committee of the CPC, the Best Works Award of the Propaganda Department of the Central Committee of the CPC, Lotus Award of Chinese Dance, Wenhua Director Award of Ministry of Culture, Top 10 Excellent Repertoire Awardof National Stage Art and multiple Wenhua Repertoire Awards. His representative works include the national dance drama Railway Guerrillas, dance drama of the Hui People Helan on Moon, the national dance drama The Lvliang Heroes, the group dance Cross and Dress, Dress. He served as the chief director of three consecutive Army Veteran Cadre Parties from 2014 to 2016. He was also the executive director and scenarist for the Opening and Closing Ceremonies in 2008 Olympic Games and the parties such as The Road to Revival, Victory and Peace and Army. He is devoted to exploring the future road of architecture, advocating the combination of the urban density, function and the landscape prospect to create a brand-new urban civilization age with human spirit as the core by rebuilding the emotional connection between human and nature. Since designing Flowing Island in 2002, Ma Yansong has practiced this declaration of the future habitation dream worldwide with the works full of imagination such as Absolute Tower, Harbin Theatre, Hutong Bubble 32, Erdos Museum and Lucas Museum of Narrative Art. Fast Company selected him as “Top 10 Most Creative Persons in Global Architecture Circles 2009” and “Top 100 Most Creative Persons in Global Business Circles 2014” successively. In 2010, RIBA awarded him the international honorary member. In 2014, he was selected as “Young Global Leaders 2014” by the World Economic Forum. 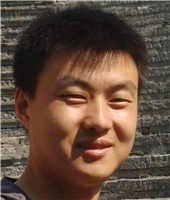 MA Yansong studied in Beijing Institute of Civil Engineering and Architecture, and later graduated from Yale University and got the Master’s degree. Currently, he is a professor of Beijing University of Civil Engineering and Architecture and a visiting professor of Tsinghua University. 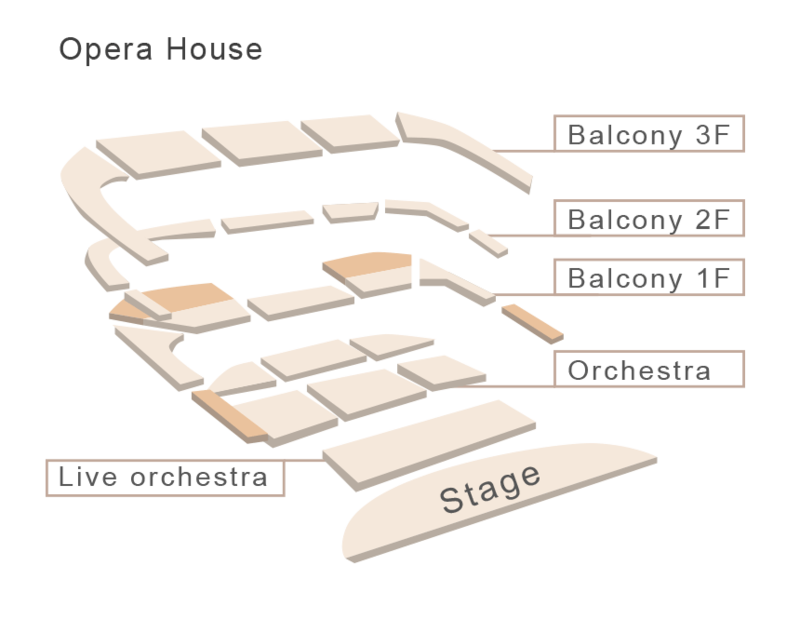 HU Yaohui served as the lighting designer of NCPA opera commissions including The Long March, The Ballad of Canal and Sunrise and drama commission The Lei Family, the Royal Architects. He has won Annual Drama Golden Lion Stage Art Award three times from 2004 to 2007, Wenhua Stage Lighting Design Award for six times and the Repertoire Award of National Stage Art Excellent Project for many times. 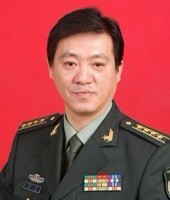 His representative works include dramas such as Thunderstorm, Wilderness and Qin’s Emperor Zheng, operas such as Turandot, The Ballad of Canal and Sunrise, traditional Chinese operas such as Champion Singer and GUAN Hanqing, musicals such as Princess Wenchengand Demi-Gods and Semi-Devils, child plays Red Scarf and The Child Wanting to Fly, Meihu opera Late Blooms of Roses, Guangxi opera The Learned Man Returns, Peking opera Tibetan Antelope, Hunan operas such as LI Zhen Returns, the large-scale live-action performances ZHUGE Liang from the Thatched Cottage and World · Love Mountain, TV sitcom I Love My Family and other hundreds of works. 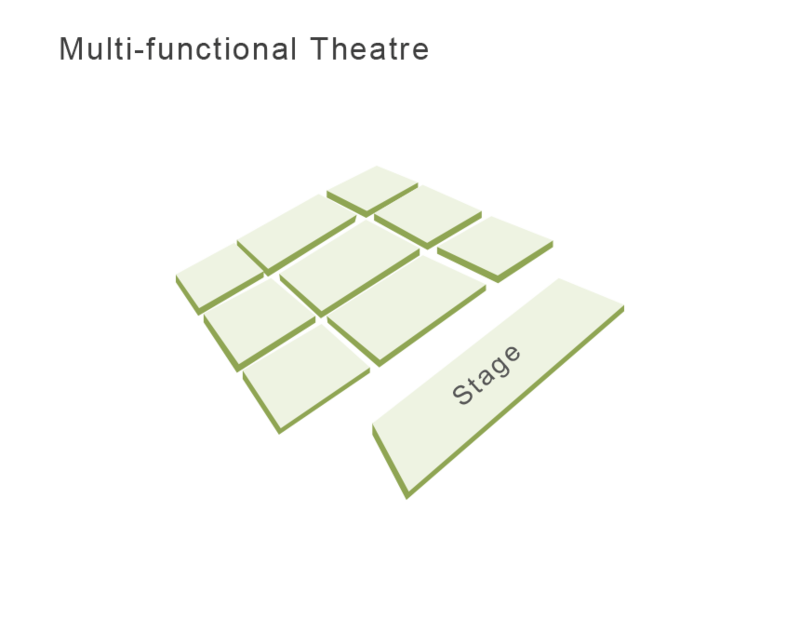 He wrote multiple academic papers such as Visual Form and Reconstruction of Stage Art, Visual Illusions of Stage Art and Lighting and modeling of Opera Stage Lighting. 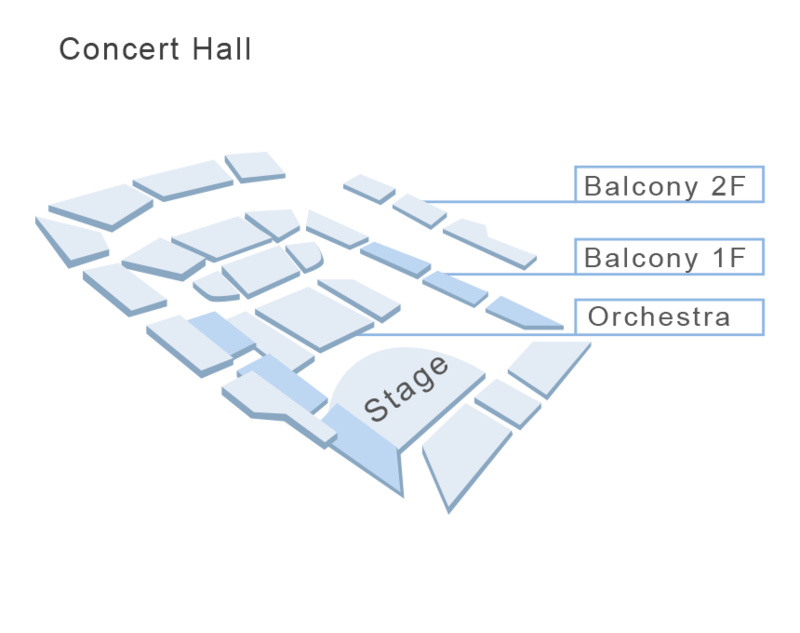 He served as video projection designer of NCPA opera The Dawns Here Are Quiet and NCPA opera commission The Long March. Graduating from Mural Painting Department of Central Academy of Fine Arts, he later leaved for France for further study and graduated from Lissa Animation School majoring in Film and TV Animation. 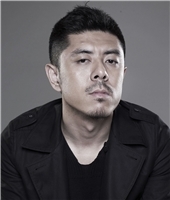 He founded Zhengyue Image Studio after returning in 2007 and was engaged in the work of CG later effects of film and TV and stage and multi-media interaction image. CHEN Minzheng, a Chinese national first-level artist, has worked on film and television character image for over 40 years. 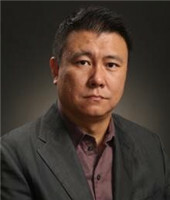 He is currently an associate director of Makeup Commission of China Film and Television Technology Association of Shandong Film and Television Group. 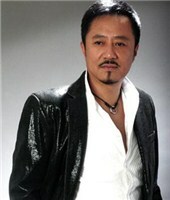 He is the founder and art director of Beijing Hanzheng Makeup School. In 2008, he acted as the chief image designer of the Beijing Olympics Opening Ceremony. He has completed over 1,000 pieces of works, including film works A Simple Noodle Story, The Revolution of 1911, Snow Flower and the Secret Fan, Phurbu & Tenzin, Daming Palace, Shouting, Boonie Bears, Spark and Divergence. opera Turandot in Bird’s Nest by ZHANG Yimou, dramas Windy Bukui, Anecdote in Nanjing and Commoner Confucius, etc., TV plays The Legend of WU Meiniang, Empresses in the Palace, The Legend of Miyue, Chinese Hero ZHAO Zilong, etc. He has won the 1998, 2000, 2004, 2008, 2010 and 2012 Awards for Makeup granted by Chinese Film and TV Play Association, the 2002 Contemporary Excellent Dresser granted by Chinese Film and TV Play Association, China Golden Eagle for Best Art, the 5th National Television, Literature and Art Starlight Award (for Makeup), the Best Image Designer for Chinese Television in Recent 20 Years, the 2008 Beijing Olympics Award for Special Contribution. Moreover, he has acted as judges in the 9th CCTV Model TV Competition, the National Makeup and Hair Style Competition held by Chinese Artists Association, and the 33rd Paris World Cup Competition in China. He has given many lectures at Beijing Film Academy, the Central Academy of Drama, Shanghai Theatre Academy, the Communication University of China, the Hong Kong Institute of Education, etc. National First-grade Player; Vice President of the China National Opera House; Director of the Opera Music; Member of China Musicians Association; Member of China Theatre Association; a representative of the 7th China Federation of Literary and Art Circles Congress, and vice-president of Dongcheng District, Beijing Federation of Literary and Art Circles; Director of NCPA Chorus. In the decades of her opera career, HUANG has been music director and artistic director for many operas, collected dozens of classic operas home and abroad, and also cultivated plenty of artists for the development of opera in China. In 1999, she designed and implemented a concert series of "Chinese and Western Art Songs"; in the same year, was Chief Planner and Artistic Director of a grand concert entitled with "Chinese Heart" held at Tiananmen Square for celebrating the return of Macao. In 2001, in order to bid for 2008 Beijing Olympics, she was Chief Planner and Artistic Director of "The Three Tenors' Beijing Concert" held at the Meridian Gate of the Forbidden City, Beijing. Since 2002, she was, four years in a row, one of the judges for CCTV Young Singers Grand Prix Bel Canto Group. She was also Chief Planner for the CCTV grand features To Feel Symphony and About Opera. Graduating from the postgraduate courses of China Conservatory of Music, YAN Weiwen, the tenor singer of the Central Military Commission Political Work Department Song and Dance Ensemble, currently serves as the visiting professor and national vocal music masters’ instructor in China Conservatory of Music and director of Chinese Musician’s Association. He has won The 2nd National Young and Middle-aged Smashing Artist awarded by the Propaganda Department of the Central Committee of the CPC, Ministry of Labour and Personnel and China Federation of Literary and Art Circles, and the honorary title of smashing “Famous Mater” awarded by the original General Political Department. As the national Level 1 actor and current member of the 12th CPPCC National Committee, he enjoys the special allowances of the State Council. The songs such as Little Poplar, A Word in Heart, One, Two, Three, Four Song, When Being Homesick, Toast, Friends, Mother, When Your Hair Brushes My Gun and Battle Song of Strengthening Army, which were first sung by him, have won universal praise and are widely sung. In order to develop and expand the folk song culture, he has devoted himself to collecting, sorting, and transcribing YAN Weiwan’s Chinese Folk Song and Love Song Series in recent over 10 years. He also published and distributed the albums of The Western Regions Love Songs, Loess Love Songs, Red Earth Love Songs, Solider Love Songs, Black Earth Love Songs, Red Love Songs, etc. He has insisted on going deep into the troops and grass roots all the time to perform for the army officials and soldiers and the people heartily and his footprints have extended all over China. He also gave performances during the fight against the flood in 1998, fight against SARS, and Wenchuan and Yushu earthquakes. He is praised as a “singer for soldiers” by the army officers and soldiers. 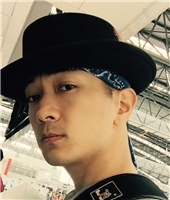 In 2011, he successfully held the large-scale concert Gun · Rose, and successfully starred the films Rishengchang in the Wind and Rain and Legend of FENG Menglong. 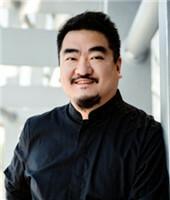 Tenor WANG Chong has performed a number of roles in NCPA opera productions, including the Messenger (Aida, a concert version co-produced with New National Theatre, Tokyo), the Steersman (Der Fliegende Hollaender), Flavio (Norma), Dr. Caius (Falstaff), and Rodolfo (Guglielmo Tell). An alumnus of the 2014 Merola Opera Programme, WANG Chong is a first-year San Francisco Opera Adler Fellow. He performed with the Merola Opera Programme excerpts as Goro (Madama Butterfly), Don José (Carmen), and the Duke of Mantua (Rigoletto). He is the winner of the Excellent Performance Award of China’s First Opera Festival and Ministry of Culture Excellent Repertoire Performance as well as the Karajan Prize of Karajan Centre in Vienna, Austria. He was invited by the former president of Wiener Staatsoper Ioan Holender to sign with this theatre. And he also received invitations from the director of Bregenzer Festspiele to sign with this music festival and to sign with Opera and Ballet Theatre of Czech Republic. He won the first place in the 7th International Operation Competition with Joan Sutherland as chairman of the jury. He has also won many awards in the international and domestic vocal music competitions such as Neue Stimmen in 1997, the 30th Dr. Luis Sigall as well as the first National Vocal Music Competition and the 7th National Young Singer TV Competition. 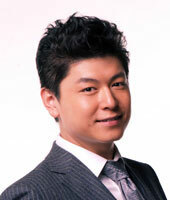 LIU Songhu is the first NCPA Resident Artist of baritone. LIU Songhu has starred in the NCPA operas and commissions A Village Teacher, Xishi, Turandot, La Traviata, Die Fledermaus, Un Ballo in Maschera, Lohengrin, Les Contes d’Hoffmann, L’italiana in Algeri, Rigoletto, I Pagliacci, Der Rosenkavalier, The Sunrise, L'Elisir d’Amore, The Dawns Here Are Quiet, Fang Zhimin and The Long March, etc. 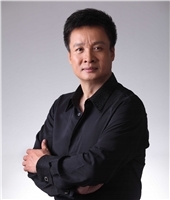 LIU Songhu is a world-famous baritone living in Europe, a doctoral degree holder, the first resident soloist at NCPA, and a distinguished professor at People’s Liberation Army Academy of Art. 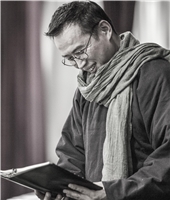 He was an associate professor at Peking University Opera Research Institute, and served as a resident soloist at the Nuremberg State Theatre for 10 years and a visiting lecturer at the Hochschule für Musik Nürnberg. So far, he has given over 500 opera performances at the opera houses throughout Europe and released many CDs. He has won seven grand prizes at famous international vocal competitions: The first prize in the “Toulouse” International Vocal Competition in 2006; the first prize in the “LaVoce” Art Song Singing Competition in 2007; the third prize in the Internationaler Gesangswettbewerb “Neue Stimmen” in 2003; the rising star award for opera performance at the “Opernwelt” Annual in 2007; the award for “the performance in Il barbiere di Siviglia-Figaro”, the “rising star award and the award for the tour in Austria” in 1999 and 2005 respectively; the third prize in the “Dvorak” International Vocal Competition and the award for the best singing performance of “Dvorak’s” works in 1995; the second prize and many other awards in the “Pardorzhinskii” International Vocal Competition in 1997. He graduated from the Odessa National Conservatory of Music in Ukraine with a Master’s degree, the Osim Opera Institute in Italy with a Master’s degree, and the Hochschule für Musik Nürnberg with a Master’s degree and a Doctor’s degree. 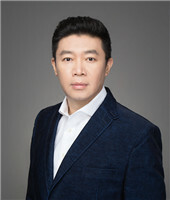 As an outstanding contemporary Chinese tenor and national first-class actor, WANG serves as a member of the Standing Committee of the National Youth Federation. He graduated as a Vocal Master from the People's Liberation Army Art Institute. 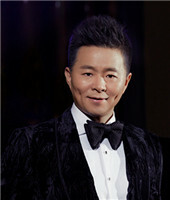 He won the Gold Medal for professional folklore group and the Audience's Favorite Singer Award in the 9th BBK National Young Singer TV Grand Prix, Best Male Folk Singer Award for the China Golden Record Award, Folk Songs Album Award and Folk Song Class Actor Award at the 4th China Golden Record Award, Special Jury Award for the 10th Global Chinese Music Award and the Best Mainland Folk Male Artist Award at the 6th CCTV-MTV Music Festival. In recent years, WANG has sung Western Singing, Children Traveling Thousands of Miles, Reputation, Homeland Feeling, The Great South, All Dedicated to the CPC, Kashgar Girl and other works. He starred in the northern Shaanxi opera Women from Mizhi and Men from Suide, Qinghai huaer drama White Dove and folk opera Little Erhei's Marriage. His solo concert was successfully held in Beijing, Ningbo, Guangzhou, Shenzhen, Guiyang, Jinan, the Philippines, Singapore, Vienna, etc. He has visited the United States, Canada, Japan, Singapore, Philippines, Italy, Austria, Russia, France, Spain, Australia, Belgium, Sweden, Portugal, Brazil, Korea, Indonesia and Hong Kong, Macao and other countries and regions. 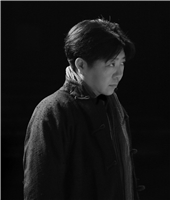 LIANG Yufeng has performed in NCPA productions of Le Nozze di Figaro, La Traviata, Carmen, The Long March, Rickshaw Boy, Rusalka, Xishi, Red Guards on the Honghu Lake, etc. He graduated from University of Electronic Science and Technology of China under famous tenor LIU Weiwei. He was enrolled in NCPA Chorus in 2009 and now serves as the tenor section leader in the chorus. Ever since he joined the chorus, he has performed in more than 20 domestic and overseas operas and served as a tenor cantor more than once in the concerts. She has performed in NCPA opera commission The Long March (Doctor HONG), Jinsha River (Droma) and The Ballad of Canal (Shuihonglian). As a member of the Chinese Musicians Association and young singer at the Second Artillery Corps Art Troupe of Political Department of PLA, WANG graduated from the Shanghai Conservatory of Music, majoring in Vocal Performance. Then she studied as a graduate student, under the tutelage of the famous young singer of Shanghai Conservatory of Music, Professor FANG Qiong. She also received guidance from Chinese top artists including ZHOU Xiaoyan, LI Guyi and LIAO Changyong. WANG's singing has a broad range and expressiveness and she outstands in singing Chinese songs and Chinese folk operas. She has toured in North Korea, France, Germany, Belgium, Hungary, Nertherlands, etc. LI Xintong is a NCPA Residential Artist. She has starred in the NCPA opera commissions The Long March, The Dawns Here Are Quiet, FANG Zhimin, A Village Teacher, Rickshaw Boy and The Fisherman and the Goldfish, and played in the NCPA opera productions Carmen, Le Nozze di Figaro, L’Italiana in Algeri, Il Trovatore, William Tell, Die lustige Witwe, Der Rosenkavalier, Il barbiere di Siviglia, Nabucco and Rusalka. Now she is an opera actress at NCPA. Graduating from Department of Vocal Music & Opera, Central Conservatory of Music, she then took up advanced studies in New England Conservatory of Music, and graduated with a Master’s degree in Vocal Music Pedagogy. She played the female lead TIAN Xiao’e in the opera White Deer Plain and the female lead FAN Yi in Thunderstorm. She also starred in the Western operas A Midsummer Night’s Dream, Il Tabarro and Turandot, etc. She won the second prize in the NATS Competition, and the second prize in the 5th Madama Butterfly Vocal Competition in Japan. She has performed in NCPA productions of The Sunrise (The Little Thing). Ms. WANG Yifeng is the guest lyric soprano of China Opera and Dance-Drama Theatre. She is a postgraduate of vocal music under Professor LANG Yinong. 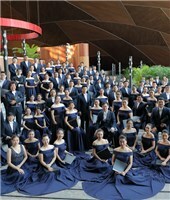 Since 2008, Ms. WANG has been awarded the 2nd Prize of the Extract Group in the 3rd China National Art Colleges Opera Competition, the 1st Prizes of Liaoning Province in the 14th&15th CCTV Young Singers Competition (2009&2013), the Young Musician Scholarship in the 13th International Vocal Competition in Italy (2010), the 1st Prize of Chuncheon International Vocal Competition in Korea (2012), and the Excellence Award of the Bel Canto Group in the 11th China National Vocal Competition. She is also a triple winner of the Scholarship of Ministry of Education, China (2010-2013). Her opera title roles include Danzhu in Red River Valley and Zijun in Mourning. Ms. WANG has been invited to be guest vocalist for the academic exchange of the International Music Festival in Taiwan. Her appearance also includes in the Nine China National Conservatories of Music Gala in Shanghai Spring International Music Festival. 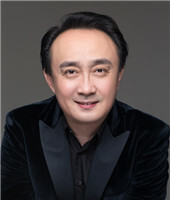 Soloist with China National Opera House, GUAN is a familiar figure at domestic and international opera stages for his comprehensive singing techniques, fine tensility and flexibility. His honours include the Wenhua Award (Government Award) at the National Vocal Competition at the Televised Foreign Songs Singing Competition. He is a lead singer in Dvorak's Mass in D major, Mozart's Requiem, and Sounds of Harmony, and has sung in Turandot, La Boheme, Le Mariage de Figaro, Roi d'Ys, Sister JIANG, A Village Teacher, Wilderness, Tea: A Heart's Mirror, etc. Graduated from the Vocal Department of the Central Conservatory of Music, YANG Yi has starred in quite a few operas such as Marco Polo, Turandot, Carmen and Rigoletto. In 2001, he was elected by the Ministry of Culture to go in for the International Voice Competition of Bilbao, Spain and won the superior award. Currently, he is a solo of Berlin State Opera (since 2002) and studies German artistic songs at Karlsruhe National Music Academy and takes lessons from vocal masters such as Dietrich Fischer-Dieskau and Schwarzkopf. In 2003, he won the top prize at the Hugo Wolf International Artistic Songs Competition. 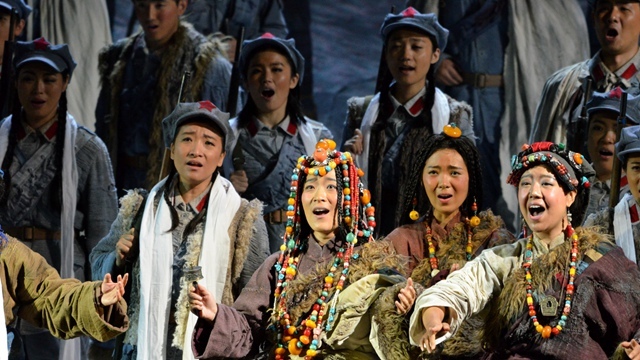 LI Yang has starred in the NCPA opera commission The Long March (as LI Wenhua). LI Yang is a young tenor, a soloist at China Railway Art Ensemble, and a director of Beijing Dongcheng District Musicians Association, graduating from China Conservatory of Music. 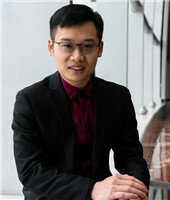 He was admitted to Middle School attached to China Conservatory of Music in 2007, then was recommended for admission into Department of Vocal Music & Opera, China Conservatory of Music in 2010, where he studied under the instruction of Professor WANG Shikui and RONG Shijie, and worked with Song and Dance Troupe of China Railway Art Ensemble in 2015. He portrayed the young XU Zhimo (a famous Chinese poet) at the NCPA Concert 2015 to mark the 15th anniversary of “Farewell Again, Cambridge”and he performed in the musical Platform produced by China Railway Art Ensemble in 2016. He was elected into the ISING 6th International Art Festival for Young Singers. 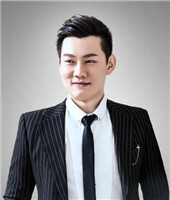 He won the first place in the 1st China Vocal Competition hosted by Middle School attached to China Conservatory of Music in 2009; the excellence award in the 2nd Maxim Mikhaylov International Vocal Competition in 2011; the excellence award of Chinese devision in the China-Korea International Vocal Competition in 2012; the second place in the 3rd Maxim Mikhaylov International Vocal Competition in August, 2013; the third place in the Lisensant International Vocal Competition in October, 2013; the second prize for bel canto in the 4th Oriole Award National Vocal Competition in January, 2014; the second place in the 13th Classical Singer International Vocal Competition in 2016; the gold award for bel canto in the Schuman International Music Competition in 2017. HUANG Xunguo is a young tenor, graduating from China Conservatory of Music under the guidance of WANG shikui who is a famous professor of vocal music. 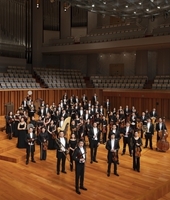 HUANG Xunguo is Member of Chinese Musicians Associations and Jiangxi Youth Federation. He won the gold metals of both Golden Bell Award and Wenhua Award of folk vocal group of China National Vocal Competition. Also, HUANG Xunguo is working at the China Railway Art Troupe as a soloist. HUANG Xunguo has starred in many musical works including ZHANG Qianyi’s opera work Snowflake, Window Papercuts and Jacobinia Carnea, WEI Mengdong’s musical Platform amd WANG Zujie’s opera work Daughter of the Party and musical and dance drama Jinggangshan, etc. Moreover, he not only positively participates in public benefit activities but also organizes a series of activities by himself. He won the golden award in folk group of the 13th China Music Golden Bell Award held by Chinese Musicians Associations in 2013. In the same year, he was awarded the first prize of the 15th China CCTV Young Singer’s Competition of male folk music group. In 2014, he won the golden award of Wenhua Award for the 11th China National Vocal Competition sponsored by the Ministry of Culture. His representative works include the ending song Ode to Jinggang Mountain of TV series MAO Zedong, Hope, Next wish, Poyang Lake and Fortune China, etc. His composition works include Juhong, and Life and Peace, etc. NCPA Resident Artist, and a National Class-A actor. 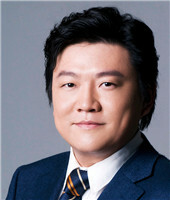 JIN Zhengjian has played in NCPA operas Rickshaw Boy, Nabucco, and La Traviata, etc. During his study in the Master Class of Wolfgang International Art Festival, he won the Award for Outstanding Student and the praise from Cheista Ludwig and James Levine. Since 2008, sponsored by the French government, he has studied systematically classical operas of France, such as Le Roi d'Yis, Faust and Romeo and Juliet, under the Artistic Director Robert Gonnella, and won the praise from the famous French conductor Michel Plasson. In 2000, he won the Silver Award for Team Competition at the CCTV "BBG Cup" Young Singers Competition and the Silver Award for Individuals (Professional) at the "Lark Cup" competition. 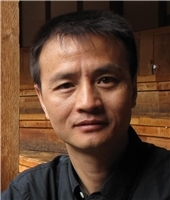 He has participated in many operas, including the original Chinese operas The Wild, Farewell, My Concubine, Farewell to Cambridge Again, Song of Youth, Imperial Concubine Yang , Romance of Rawap, Mourning, Legend of Yao Ji, Year of Dragon in Tangshan, Wu Guniang, The Injustice Done to Dou E; Wagner's opera Tristan und Isolde; French operas Le Roi d'Yi, Turandot, The Magic Flute, The Abduction from the Seraglio, The Bartered Bride, Lucia of Lammermoor, La dame aux Camellias, Rigoletto and Candide, etc. 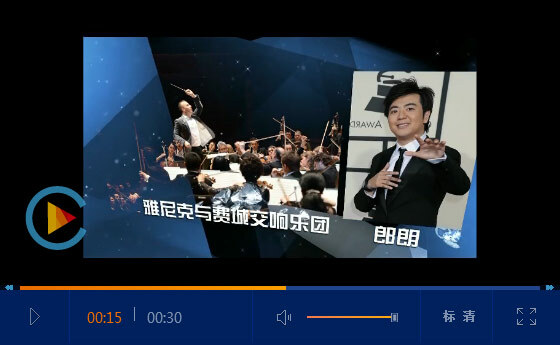 He has worked with famous orchestras including China National Symphony Orchestra, China Philharmonic Orchestra, symphonic orchestra and Chinese music orchestra of the China Opera and Dance Drama Company, China National Opera House Symphony Orchestra, China Film Symphony Orchestra, China Youth Symphony Orchestra, Chinese Music Orchestra of the China Broadcasting Performing-arts Troupe, Beijing Symphony Orchestra, Shanghai Symphony Orchestra and Shenzhen Symphony Orchestra. 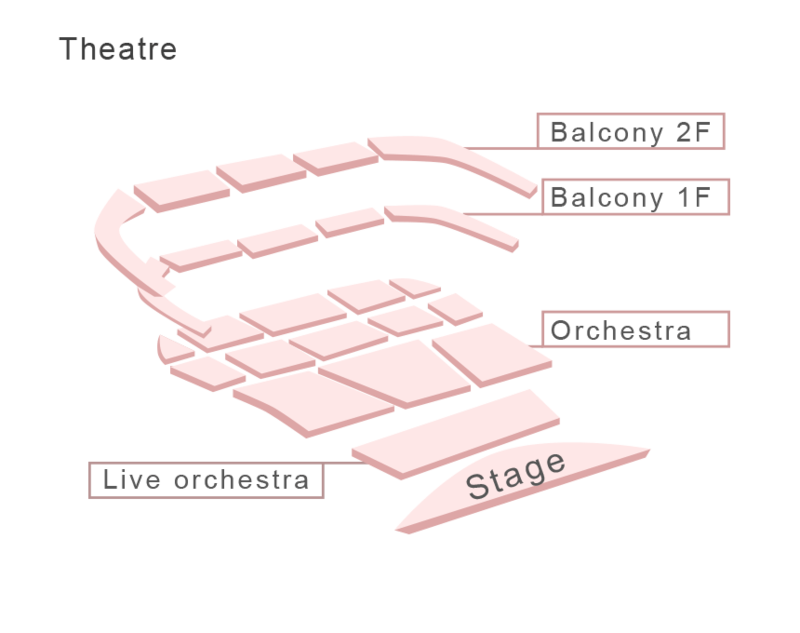 Moreover, he has acted as soloist and leading singer in many major performing events such as Handel's oratorio Messiah.